BPT (Boyaa Poker Tournament) is an international Texas Hold'em event organized by Boyaa Interactive. 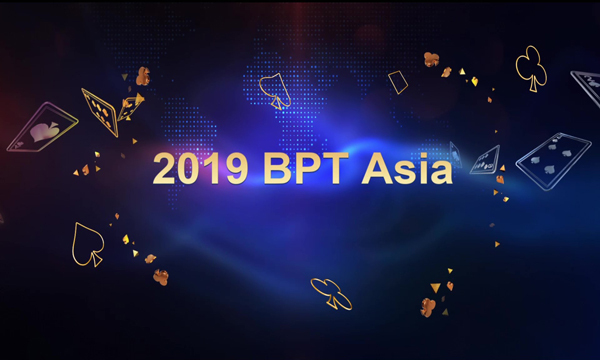 Starting in 2015, BPT has successfully held four consecutive tournaments in China ( Macau and Sanya) and has attracted poker players from over 30 countries and regions. 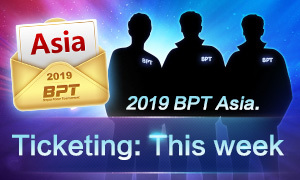 All these tournaments were carnivals of poker that balanced in equal parts fun and competitive spirit, becoming instant milestones in the history of poker and moments of glory for Boyaa Interactive. 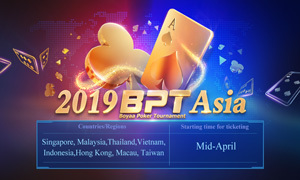 Boyaa Interactive announces its 2019, 5th BPT —2019BPT Asia — which aims to continue with the excellent reputation of the series, this time with Tournament at the end of June 2019, at the Taiwan Chinese Texas Hold'em Poker Association. 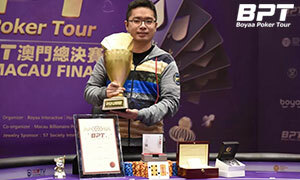 Guaranteed prize pool: of 5 million NTD! The online qualifiers will start in mid-April. We look forward to seeing you!